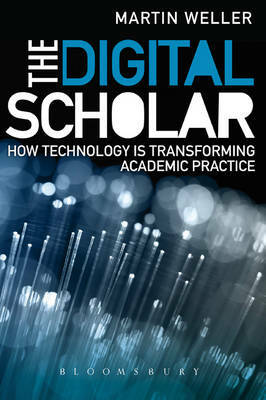 Over the last week or so I’ve had a chance to catch up with Martin Weller’s new book, The Digital Scholar. Those who follow The Ed Techie blog will be familiar with his enthusiastic support of open scholarship, and it’s great to see that an open access version of the book is now available to read online. Drawing largely on Ernest Boyer’s four components of scholarship as a framework, The Digital Scholar provides an excellent overview of the role of digital technologies in the current academic landscape. It is clearly written and accessible to a wider academic audience, so I hope it gets the recognition and readership it deserves. As a complementary work, I would highly recommend Christine Borgman’s Scholarship in the Digital Age, which provides a more in-depth look into the socio-economics of information that underpin academic discourse and publishing. It’s a great book, but one that felt conspicuously out of date when it was first published. A second edition, incorporating the influence of web 2.0, would be most welcome. Borgman, C. L. (2007). Scholarship in the digital age: Information, infrastructure, and the internet. Cambridge, MA: MIT Press. Weller, M. (2011). The digital scholar: How technology is transforming scholarly practice. London: Bloomsbury Academic. This entry was posted on Thursday, September 22nd, 2011 at 10:17 pm and is filed under Posts. You can follow any responses to this entry through the RSS 2.0 feed. You can leave a response, or trackback from your own site.